why does this mod take so long to load up in my pack? Im using loading profiler and it ranks 8th place for the longest loading in the pack. I mean, all it does is scan your mod in the beginning, and then creates a file, right? nothing should slow it doesn after that? why is the site unavailable from Russia? Bravo : I see you have gone to great expense to register and maintain a Domain .As someone already mentioned they just don't get it , understand the mod . Why collect any Data at all , unless you intend to process it , analyze it . Queti , Ichun , I'm probably twice your ages, I only expressed concern and who mentioned conspiracy ? Oh ! that was YOU ! ... I'm old enough to see a Con , as in a Confidence Game. I only responded to this nonsense , because my 8 year old Grandson tried to download this . I just can't stand by , when a game like Minecraft is played by my Grandson and his online presence is Analyzed , Track .... what ever you want to call it . As your generation would say , this mod has a creepy feel to it . I would expect 100 percent transparency to any questions I have to ask , when it comes to the well being and safety of family. Nothing more to say on this Topic . Not going to allow this Mod on Grandsons Game . my stance on tracking mods is well known, I’ve had mods pulled from FTB packs because they were found to be tracking users. Does this mod collect data? Yes, it wouldn’t be doing it’s job if it didn’t. The only thing we use other than user inputted data is the players uuid/name, so that all of a players packs can be listed on their modlister Page. Feel free to take your toxicity and conspiracy theories elsewhere. If you are uncomfortable with what sort of information we collect and how we use it, I recommend you do not install the mod, but do try and refrain from telling others not to install a mod which sole purpose is to collect information from you. Meaning we aren't targeting your everyday 8 year old grandson, unless they're an aspiring content creator. We're aiming to provide an easy way for content creators to share their mod lists. If you want to know how we process the data, this is what we do with it, and this is Quetzi's own user page on the site. Quetzi is a streamer and a mod dev. He uses this mod himself to share the list of mods he has running for people watching his stream. modlister.com itself does not use any of it's own cookies (that I know of). The cookies you get from there are most likely from Google, as we are using their analytics and advertising platform to see how many visitors we are getting to the sites, and of course, to show ads. We're also collecting your player UUID and Minecraft Name, but that is so that we know what page to set your viewer page as, and to pull your Minecraft skin for your avatar. If you are unaware, your UUID and Minecraft Name are both retrievable if we have one or the other. My own IGN is iChun and you can easily look up what my UUID is, or vice versa. 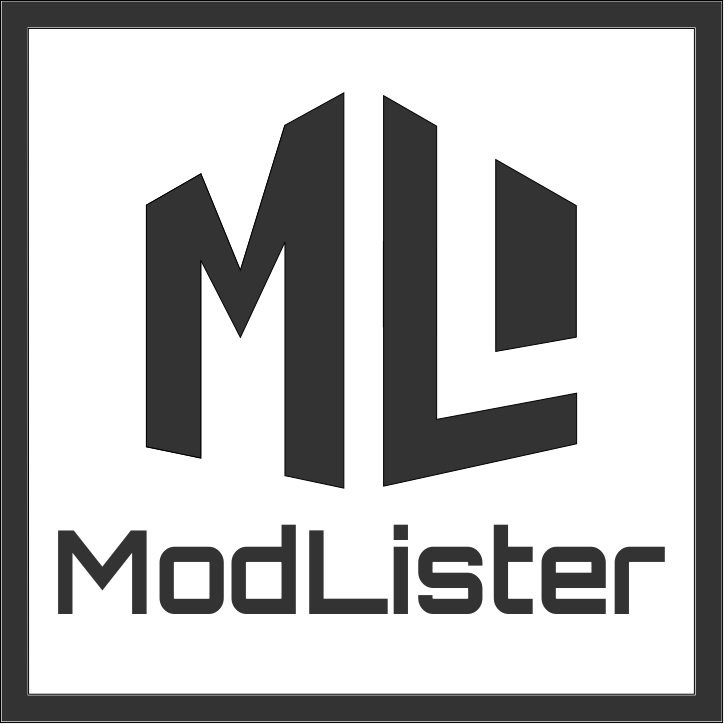 You can also find my own ModLister page (which I used for testing) here. I hope this clears things up with you. PS: I sincerely hope you're not twice Quetzi's age. That man's old enough to be a grandfather himself. Please make an issue here: https://github.com/Quetzi/ModLister/issues/new and we will take a look into this. Love this mod i am addicted to mods and having to list all my mods when i have a problem is a royal pain this makes a simple file i can upload to an author in seconds. Insane quality of life upgrade this mod has become. Love this mod. Use it to help me keep track of all the mods I have going or if I want to share the list when reporting an issue to a mod maker I can just link this mods web page for my user name. Will also help a ton when I get to making the mod pack I wish to do. So thank you very much for making this mod. Really useful for mod pack listing and permissions! i dont see a need for this can't you just tell people what mods your using and do you really change them that much ? Changing mods can happen several times during the course of a stream, whether that be because of pack/server updates or because you change pack. Also, compiling mod lists in a presentable way is time consuming, time that most streamers don't have. I just want to know how we actually use it. Interesting. I will have to try this out when I get a chance.